So we’ve not long returned from a road trip around Andalusia. After 3 nights in the gorgeous city of Seville we hit the road again,making the 1hr 30 min drive, to Córdoba. Yet again we booked via Airbnb. 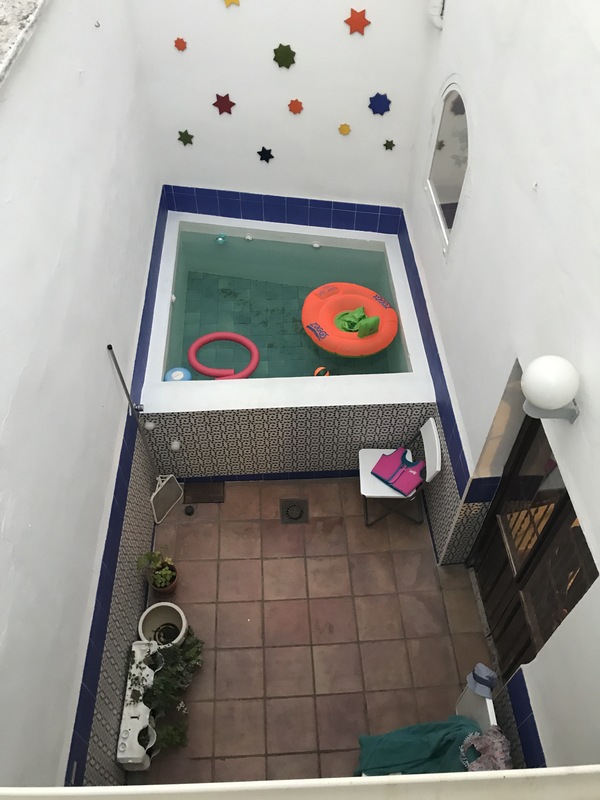 Córdoba was cheaper than Seville and we settled on a large 2 bedroom house in the centre of the city – with underground parking, air conditioning, roof top terrace and our very own plunge pool it suited in every way! 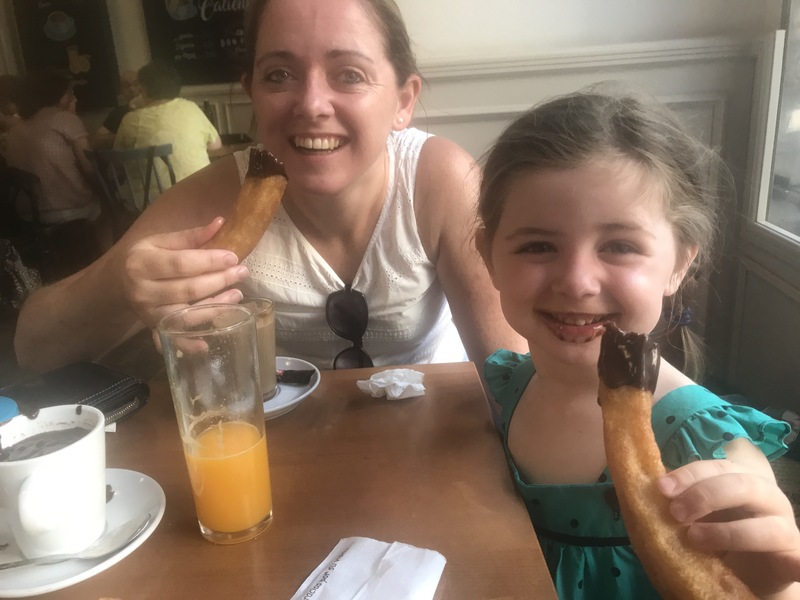 The house was in a really quiet residential area and there were plenty of supermarkets and cafe’s easily accessible – although disappointedly there was a distinct lack of croissant shops across Córdoba! 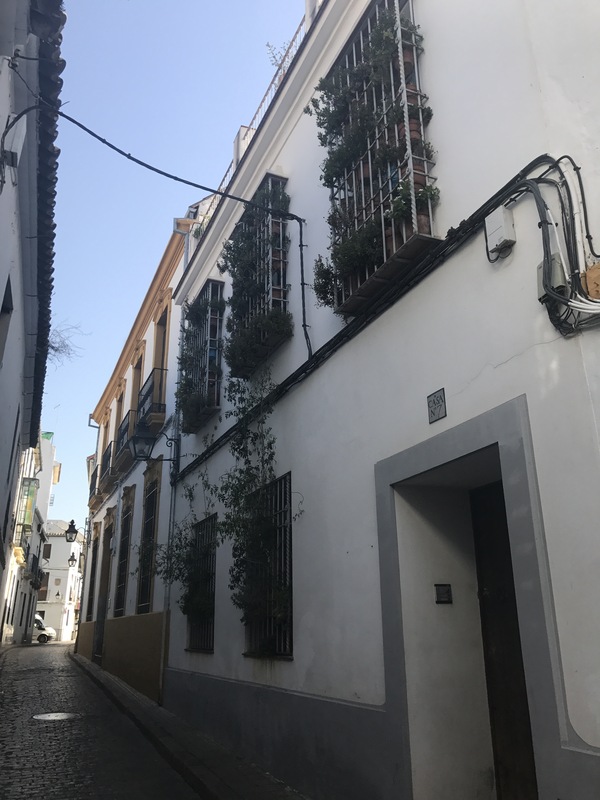 Córdoba is far more intimate than Seville and makes for a wonderful family friendly city break. After a stupidly early breakfast (the joys of having young children I hear you say!) at the house we took a gentle stroll through the windy old town, negotiating dodgy pavements until we reached the Roman Temple. After a brief pause here we walked on to the main square – Plaza de las Tendillas. Our daughter enjoyed splashing in the water fountains (who wouldn’t in 32degree heat) and we settled for a bench under a tree. A second breakfast was now looming (it’s one of the perks of having children!) 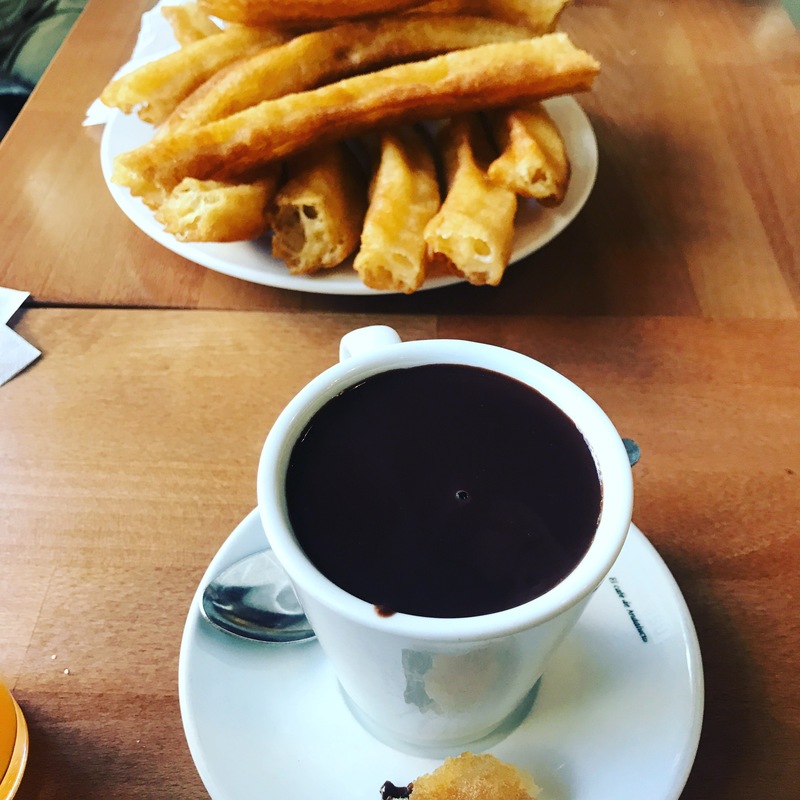 and we crossed the square in search of the famous Cafe Don Pepe – reported to serve the best churros in town. They certainly did not disappoint although they’re not for those on a diet! Having eaten our body weight in chocolatey goodness we went in search of the world famous Mesquita. One building alone is enough to put Córdoba high on any traveller’s itinerary: the mesmerising multiarched Mezquita. One of the world’s greatest Islamic buildings, it’s a symbol of the worldly and sophisticated Islamic culture that flourished here more than a millennium ago when Córdoba was the capital of Islamic Spain, and Western Europe’s biggest and most cultured city. Sadly having arrived at 9.30 it wasn’t quite open and a steady queue of visitors was already forming. A quick google of the opening times and we discovered that entry to the monument is free from Monday to Saturday from 8:30 to 9:30 – so we decided to return the following morning (our children never want to linger long in historical sites!). 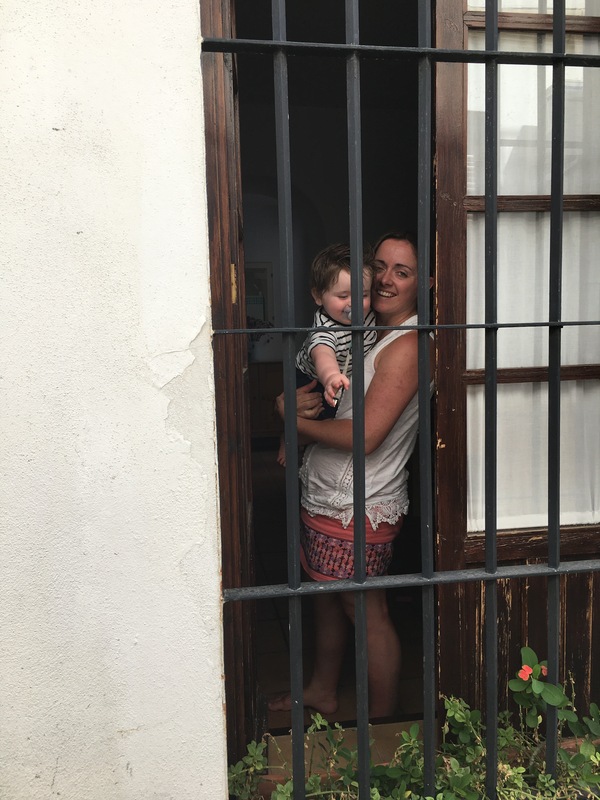 With temperatures already a balmy 38 degrees (and the BBC news in the UK reporting on the heat wave taking southern Spain by storm) we decided to head back to the house. The rest of the day was spent enjoying our plunge pool and sipping the occasional cold San Miguel. Some would say it was the perfect holiday day – some sightseeing and plenty of relaxation and family time. After an early evening family BBQ and with the children tucked up in bed, we enjoyed another bottle of cava (at 3 euros a bottle it would be rude not to!) with our feet in the plunge pool and the sound of jazz floating up from a local bar. Perfect. After breakfast we returned to the Mesquita at 8.15am (not difficult when you’ve been up since 6am with 2 children!) and took advantage of the free entry. We enjoyed a leisurely 40 minutes soaking up the peaceful (well it was until our two children arrived!) interior and admiring the complex mix of architectural styles. Our daughter took over the camera so forgive the photo quality! After a whistle stop tour of the building we returned to our Airbnb. After a quick swim and with the car now packed we hit the road for one final time – heading for Dove Villa, in the hills north of Malaga. Well sort of….first we needed some lunch. We drove out to Victoria Market – a must see site for all foodies visiting the city. 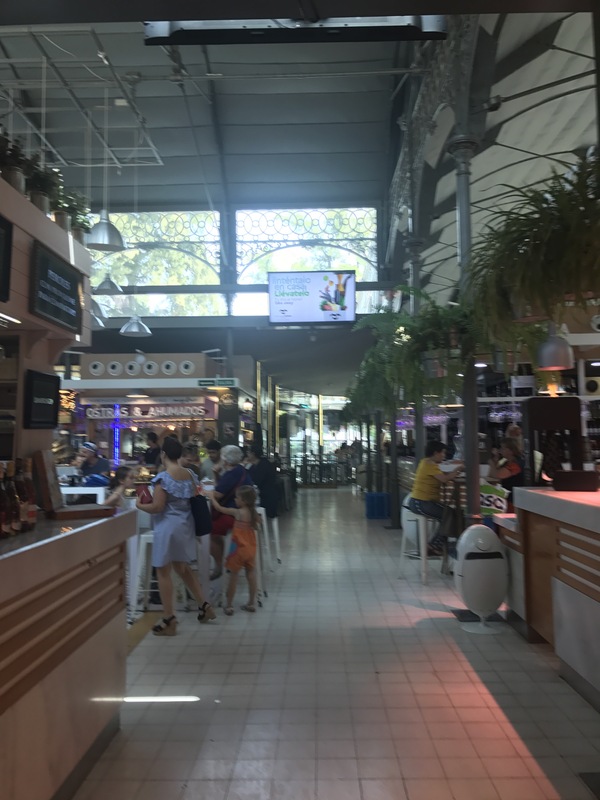 Victoria Market is Andalucia’s first gastro-market and houses 30 food stalls. It’s ideal for children for two reasons. 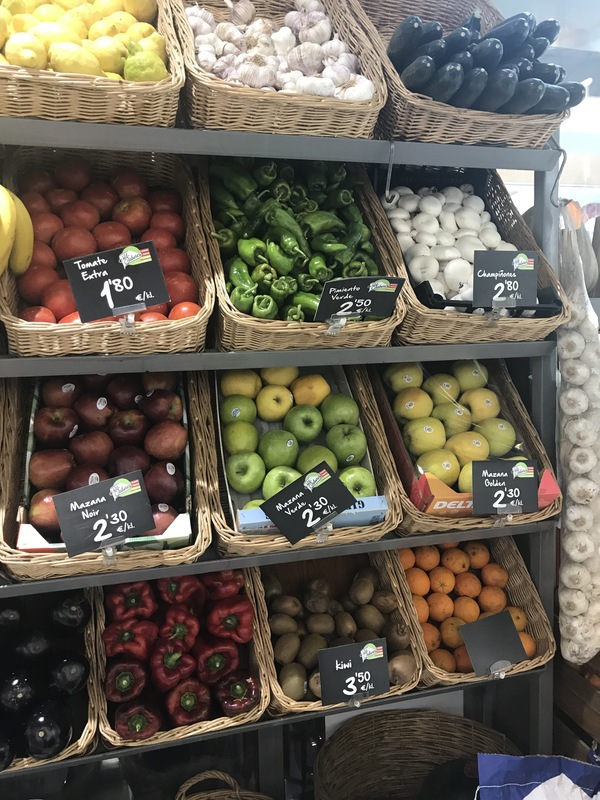 Firstly, as the tables are communal you can, if you want, all eat different food types and still eat together (there was something to suit every member of our sometimes fussy family!). 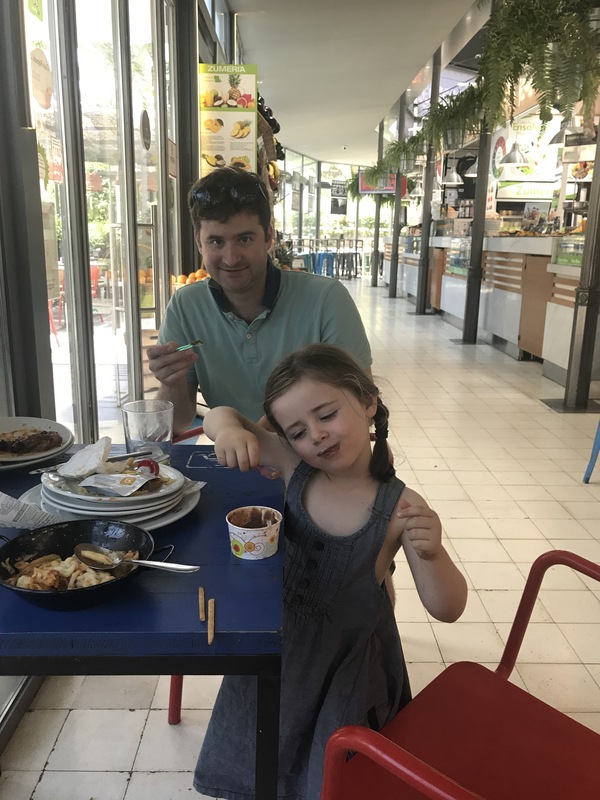 We enjoyed Lebanese street food whilst our children dined out on pasta! There were great bars as well as smoothie and fruit stalls. Secondly, it’s a great option if you want (or your children need!) to eat an early lunch (the Spanish aren’t known for their early dining!). There was some sort of children’s play zone on the basement level but it didn’t seem open when we were there. It wasnt an issue as there was a gorgeous park next door with a fab play park. Parking was directly over the road (Victory place parking) – all very easy. 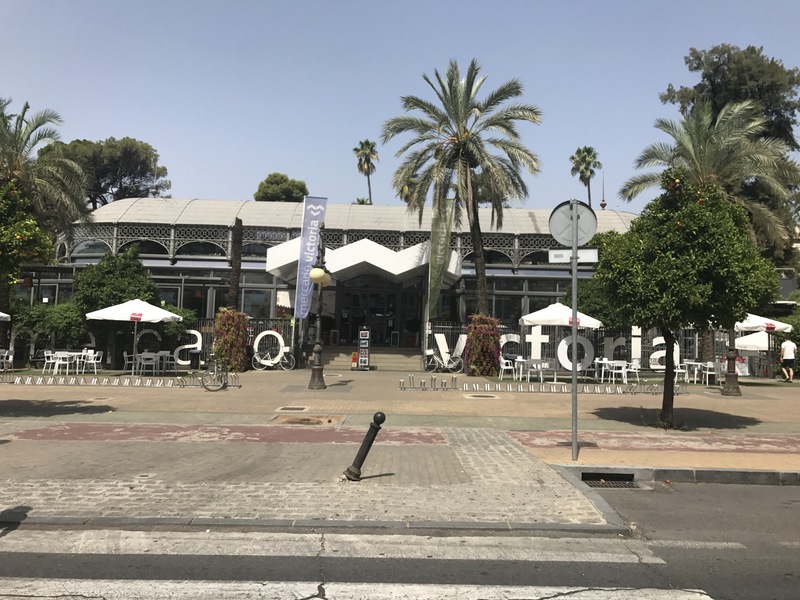 All in all a great place for a city break….although you’d need to hire a car or take a high speed train from Malaga or Madrid.